Spring is here and that means it’s time to take a good look at your lawn. If you want beautiful, green grass all through the summer, you should take a few important steps now. Here are three spring lawn maintenance tips from the experts at EnviraScape, a lawn services company in Rock Hill, SC. Figure out your fertilizer. Did you fertilize your lawn last fall? If so, you may not need to do it again this spring. It all depends on the type of grass you have and the levels of nutrients in your soil. Start by determining if you have cool season grass (which can be fertilized in the early spring) or warm season grass (which should be fertilized in the late spring). Clean up the yard. While you’re taking a look at the lawn, see if there’s anything that needs to be cleaned up. Are there limbs or branches from winter winds? Are last fall’s leaves still hanging around? If so, go ahead and take care of it. Leaving this debris on your lawn can block the sunlight and stunt the growth of your grass. Control those weeds. Weed control is perhaps one of the most important parts of a spring lawn maintenance routine. Applying a pre-emergent to your lawn in the spring can greatly reduce the amount of crabgrass or other invasive weeds this summer. However, you must apply these chemicals at the right time in order to get the best results. Sounds simple, doesn’t it? But the truth is that there’s a lot of science that goes into creating a beautiful lawn. That’s why hiring a professional lawn maintenance company is a great idea for many homeowners. If you need landscaping near you, call EnviraScape. 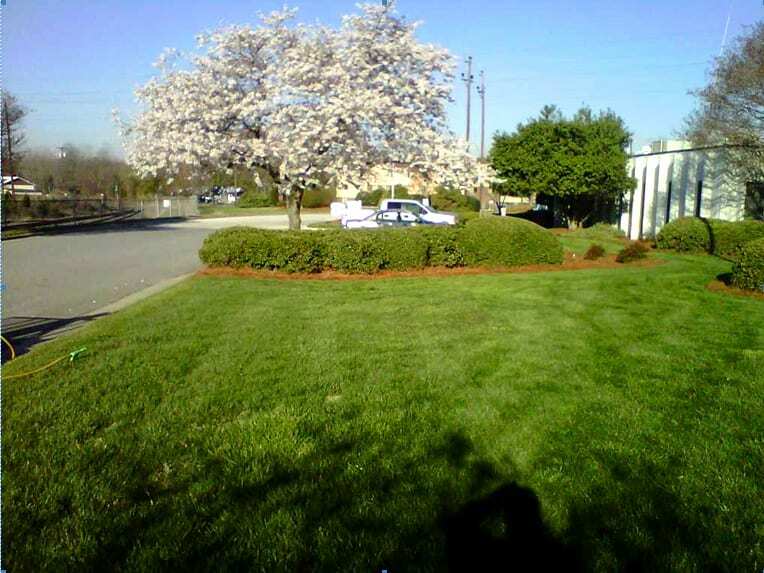 We offer lawn maintenance and other lawn services in Rock Hill, SC and surrounding areas of North Carolina and South Carolina.